Brushing our teeth is something most of us have learned the wrong way. We try to remove plaque by brushing too hard and many times we damage our gums. We need to be brushing our teeth two to three times a day, with one of these times being before going to bed. As we sleep, our mouths get drier, which helps acids from bacteria attack our teeth. It is recommended to brush in the morning as well. If it’s possible, it would be better to brush after having breakfast to remove the bits of food, but if necessary, brushing first thing in the morning would remove plaque that built up overnight. Brushing your teeth for a third time would be best right after lunch to give you a good midday cleaning. However, we should not brush more than three times a day since this may cause damage to the gums. Do not brush too hard since this can damage your gums. Brushing hard can cause the gums to recede, in other words, to move away from your teeth. Plaque is attached to teeth just as jam attaches to a knife. It’s hard to remove this just by rinsing, but lightly brushing your teeth would help. However, if the plaque has already hardened into calculus or tartar, brushing would not remove it. Brush for a minimum of two minutes. This allows you to know you are cleaning all each of your teeth thoroughly. Use a toothbrush with soft or extra-soft bristle. If you use the harder type, this would greatly risk harm to your gums. Bristles start to flare or clump. 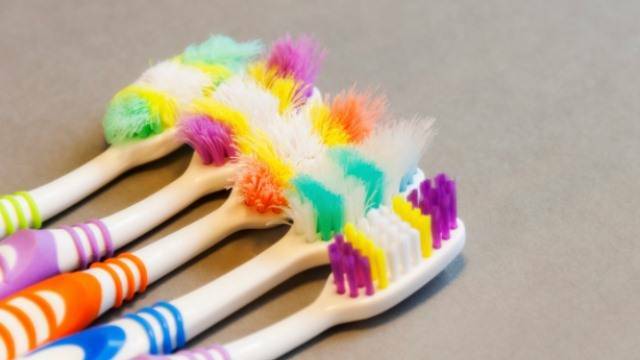 If your toothbrush flares within three months, it means you brush your teeth too hard. After getting well from being sick, so you won’t become sick again. If anyone else, even if they are healthy, uses your toothbrush, so you don’t share bacteria. Electric or power-assisted toothbrushes are a fine alternative but aren’t necessary. These do well for those who don’t always brush the proper way or for those who have physical limitations that make brushing hard to do. Use the electric toothbrush for a minimum of two minutes as well, and do not press hard on your teeth. After brushing your teeth, you need to rinse the toothbrush and then brush your tongue to remove more bacteria. Brush firm but gentle from back to front, but don’t brush too far back that it would make you gag. Then rinse again. Dr. Jared Bowyer DDS, dentist in Vancouver, WA, offers preventative care for your teeth. To learn more, please visit our website or give us a call at (360) 253-2640.